1.) 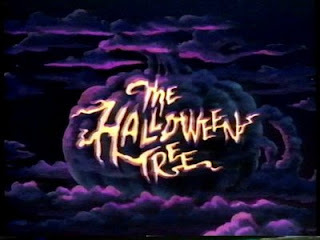 Read and watch Ray Bradbury's The Halloween Tree - I usually start reading the slim novel as early as July/August, when the Halloween bug first starts to bite, followed by watching the cartoon (usually via YouTube since its never been released on DVD and I don't own a VHS player). Haven't watched it yet this year? I posted the cartoon in its entirely HERE, so go and enjoy! 2.) Play Halloween Jenga or other Halloween-themed board games - This is a yearly tradition that my boyfriend and I do every Halloween season! 3.) 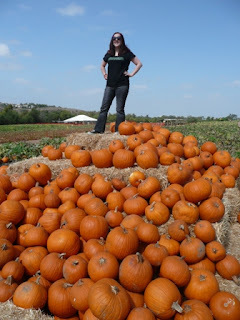 Visit a pick-your-own pumpkin patch - I prefer Tanaka Farms and I try to make a trip there multiple times in October. I usually go opening weekend at the end of September with my boyfriend and then make another visit with a group of friends in early October. I looooooove pumpkin patches! 4.) 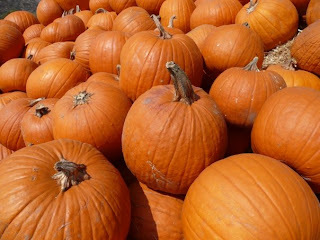 Take a stroll through Roger's Gardens to ogle their amazing Halloween displays - Roger's Gardens is an amazing high-end nursery here in Orange County and their Halloween displays are truly spectacular. Check out this year's visit HERE! 5.) 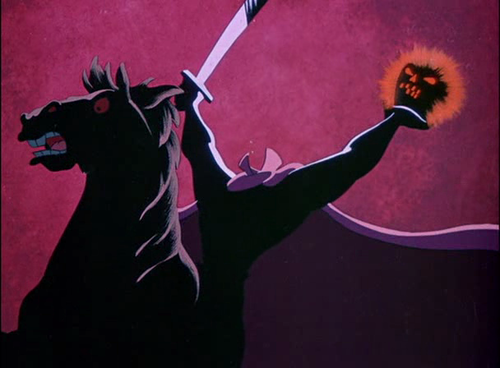 Watch Halloween cartoons (this ties into #1) - This time of year brings out the kid in me, so I always love watching cartoons and Halloween-themed kids' movies in October! Must-see's include It's the Great Pumpkin, Charlie Brown, The Legend of Sleepy Hollow, Nightmare Before Christmas and Garfield's Halloween. I have a big list of kid-friendly cartoons/movies HERE. 6.) Bake Halloween treats - I love baking, but especially Halloween baking! 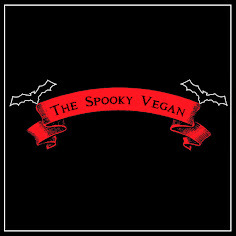 This year I've made some yummy vegan sugar cookies, pumpkin bread and other odds and ends. I haven't baked as much as I would have liked to, but this weekend I'm all set to make all sorts of ghoulish goodies for our Halloween party...and I can't wait! 7.) Carve pumpkins - This is a given. Pumpkins just make me happy and I love carving them. I usually pop on some Halloween movies, drink some pumpkin spice coffee and get to carving several times during October. 8.) Buy pumpkin everything - I can't resist any vegan food item that is pumpkin flavored or pumpkin shaped! 9.) Buy new Halloween shirts - Target usually has the best and least expensive Halloween tees, and they are usually the first Halloween-y items that grace their shelves. 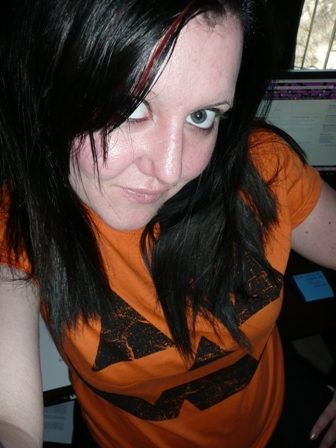 I have a huge stack of their Halloween tees from over the years and I like wearing them year-round. 10.) Visit stores - This is another obvious one, but another must-do for me! 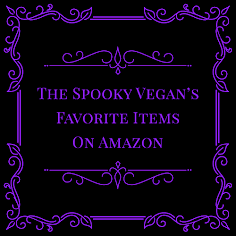 My list includes the Halloween Club (they are open year-round and I usually go the last weekend of August), Ross (they start putting out Halloween stuff in July), T.J. Maxx (they had so much cool stuff this year! Again, they start putting out stuff really early), the Dollar Store, and, of course, Target. I always have to restrain myself from buying everything, but I usually go overboard anyway. 11.) Watch Halloween-themed horror movies - Notice how I stressed "Halloween-themed"? Since I watch horror movies all the time, I make a special effort in October (and the months leading up to it) to watch mainly Halloween-themed horror. There are tons of these flicks out there (both good and bad), so this isn't hard at all. It annoys me when people watch any old horror movie for Halloween. 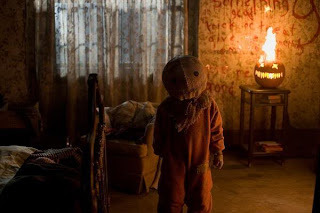 Anywho, there are tons of horror flicks that take place on or are about Halloween, and you can check out some of them HERE, HERE and even HERE! 12.) 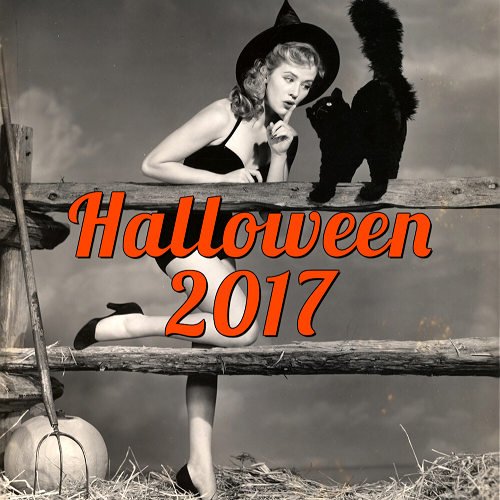 Create a Halloween mix that I can listen to in my car - You can check out this year's list HERE! 13.) 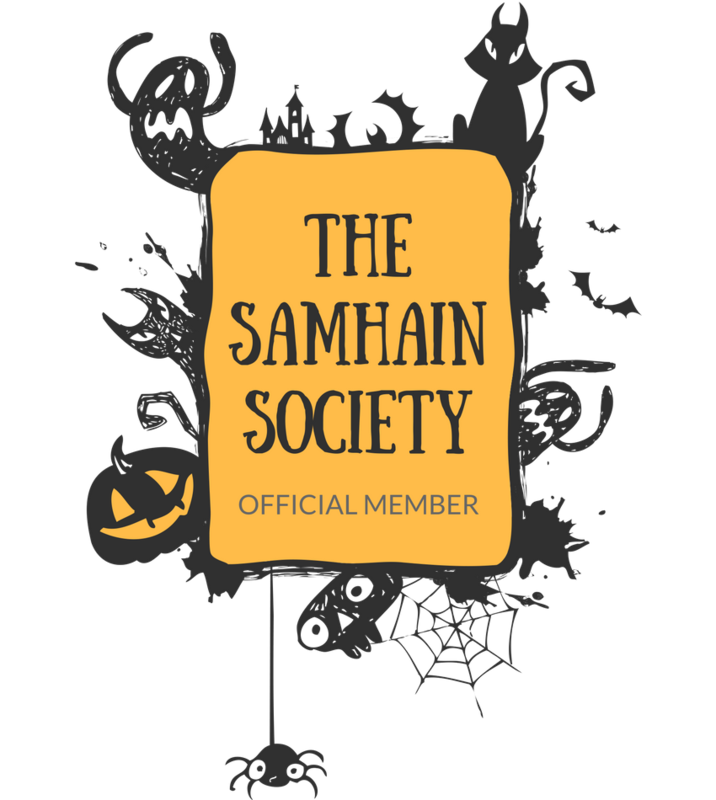 Host our annual Halloween party - Planning this event takes up most of my October, but I have so much fun with it! This year the theme is "Unhappily Ever After" and I can't wait to share with you how it turns out! Previous years we've done Carnival Noir, Dia de Los Muertos and Haunted Forest themes. 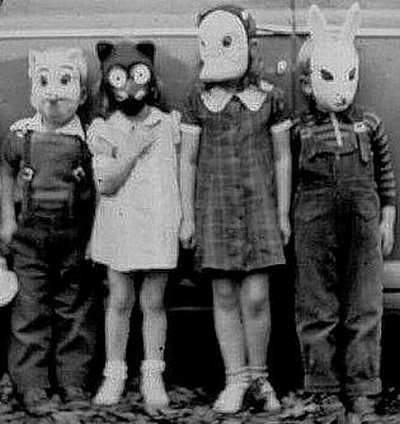 What are your Halloween traditions that you must do every holiday season?